What kind of danger can a mother face to rescue her child? 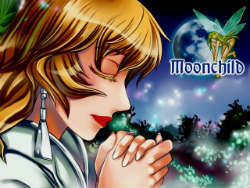 Moonchild is a unique and stand-alone adventure featuring 9 characters, plenty of sidequests and countless items and spells. Play as Queen Calypso and her friends going after Calypso's abducted child and trying to figure out what happened... and why. Can you solve the mystery and rescue Moonchild? Play the game and find out!